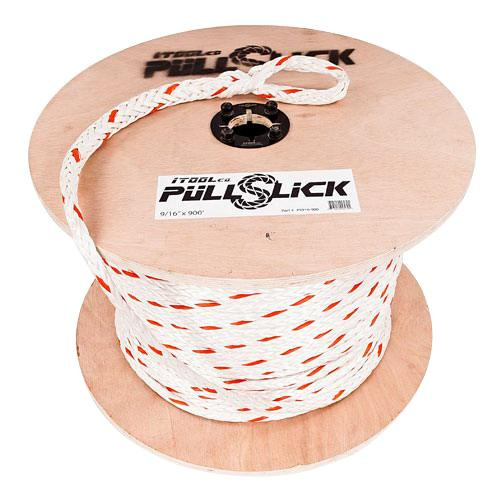 Itool Pull Slick™ Pulling rope measures 600-ft x 9/16-Inch Dia. This UV-resistant pulling rope features synthetic fiber construction. It has breaking strength of 39000 lb.